Having a private pool in our home is an unsaid status symbol, although many a times it is not possible to get a swimming pool built in your house, either because of the technical problems, and sometimes of course because of the high cost that it usually entails. If you have decided to get a swimming pool constructed in your home and make it a recreation paradise, be prepared to face some high expenses. First of all, it will be strictly necessary to have a municipal license that allows the construction. Then comes the cost of material and the cost of construction. Once the installation is done, you need to pay for the annual maintenance of the pool too. You can always get a loan for carrying out this work, and get your own private pool the way you want it to be. If you have decided to have a swimming pool just a step away from your living room, you would have a number of doubts in your mind. Though you may discuss and put a rest to your queries, with the help of experts at Homify, here are a few simple things to consider before you start your project. 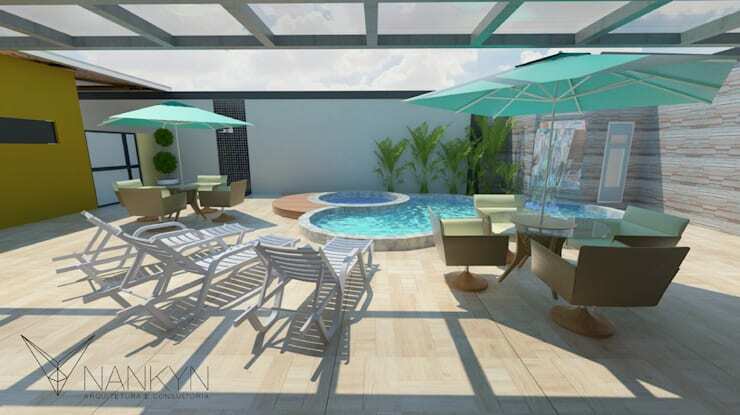 First, the construction project of a pool must be prepared by an architect and approved by the respective municipality. Before starting construction, it is best to request a detailed budget to avoid surprises. Another aspect that will avoid frights in the budget is to choose a well level ground, that is not excessively rocky and in an area of easy access for the crane. Failure to meet these requirements does not have to mean forgetting your pool forever, but the budget will be higher. 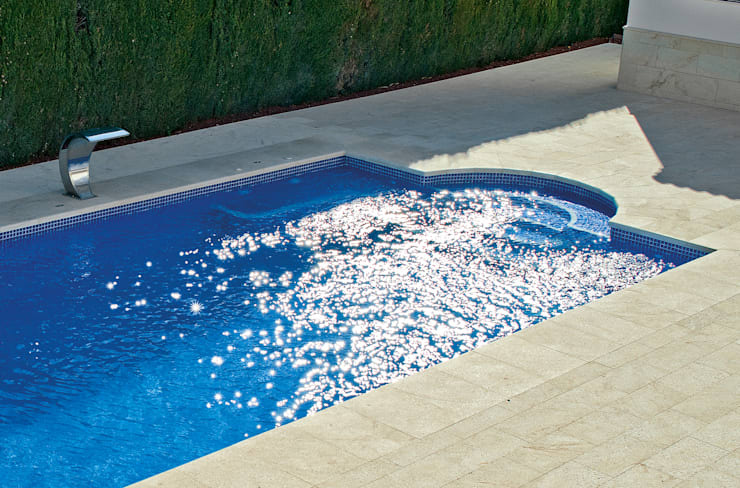 From the beginning of the construction phase it is important to have a clear idea of what you want, so that the systems can be installed at the appropriate time, when the operating and cleaning systems of our pool are installed. See some amazing pool designs for small patios and gardens. 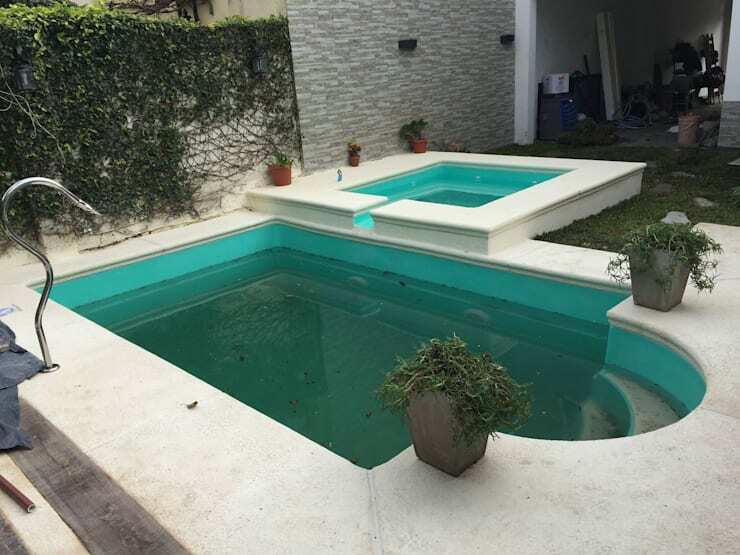 It is not uncommon to find constructed pools today, it is a durable option despite the initial investment that you have to bear, and carry out and the subsequent work. There is also a wide range of materials that allow you to get the most out of your budget. One of these options are polyester pools, with a somewhat cheaper cost and with a simpler and faster installation, polyester pools can also incorporate various accessories to achieve a more personalized result through waterfalls, light bulbs or decorative elements. Among its advantages, we can emphasize a comfortable and simple maintenance and the possibility of dismantling it at any time and transfer it to a new location. 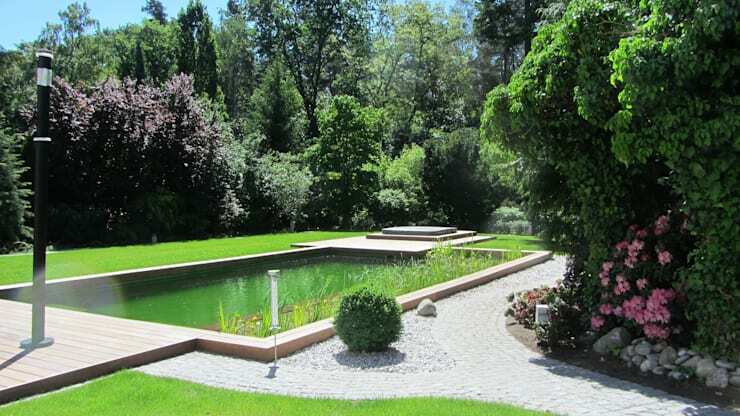 See this beautifully landscaped pool that will make you want to have it. For those people who are aware of the ecological footprint that we leave in nature or simply the high degree of pollution and chemical products that are usually used in conventional pools, the ecological format is the best option. These are sustainable designs whose operation is based on the filtering capacity of different types of plants and on gravel and sand filters. These ecological pools , reminiscent of the ponds where you would have bathed as children surrounded by frogs and fish, today seduce people who bet on a more natural way of life. Its main attraction is that this type of pool offers multiple benefits, not only for the environment, but also for your health thanks to the higher level of water oxygenation and the use of completely natural materials that take care of your skin. It also allows you to constantly reuse the water since it is the purification system itself through plants and water that guarantees the quality of the water. The form and size are factors to take into account when investing in a pool, in fact they involve a series of decisions that customers must make, that will be linked unquestionably to the final budget and the availability of space. Although the format of your pool will depends on the characteristics of the land, there are a number of standard sizes depending on the number of people who will use it, these range from five square meters for about 4 or 5 people. Regarding the form, there is almost nothing written and depends almost exclusively on the owner's tastes. One of the most classic and economic models is the rectangular whose dimensions are based on the ratio of 2x1 between length and width. In reference to curved pools, such as this spectacular design, they usually have a good aesthetic from 50 square meters. 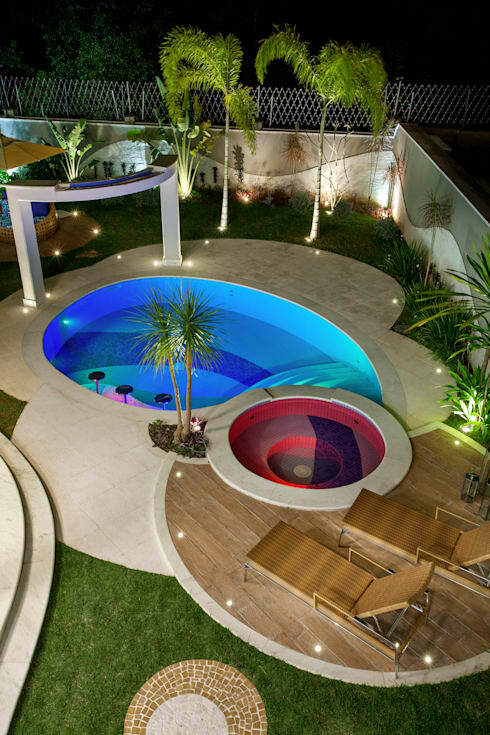 Here are 10 mind blowing ideas for pools in modern houses. The first thing to consider is the environment in which you will install your pool. Regardless of whether you opt for an indoor or outdoor model, there will be a series of considerations to take into account. In the first place, you will need to discard those areas that contain trees with strong roots that can raise the soil causing damage to the pool, as well as vegetation that sheds leaves and dirt since this will continually soil the water. Another factor to take into account when choosing the location of an outdoor pool, is that the place chosen has a large number of hours exposed to the sun, so that the water stays at a comfortable temperature. Regarding the terrain type, it is not a big problem since the construction of pools can be done on almost any type of terrain, even with slopes. See this beautiful pool that will immediately want to jump into it. At this point your pool should be taking shape and therefore, adjusting to a final budget. However, to all this you must add a series of maintenance and cleaning costs annually, as well as water and electricity, this could reach easily 900 Canadian dollars of fixed cost per year, so that the pool is enjoyable, and does not become a wasted investment. In addition there are other expenses related to maintenance that can be solved with a good initial investment that allows us to install an outdoor cover, an automatic pool cleaner, installing a tank that takes advantage of rainwater and not empty it during downtime, as well as resorting to LED lighting for this area of the house and that will allow us to save up to 80% in the final consumption of electricity. There are a few other simple ways to have a mini pool in your home. 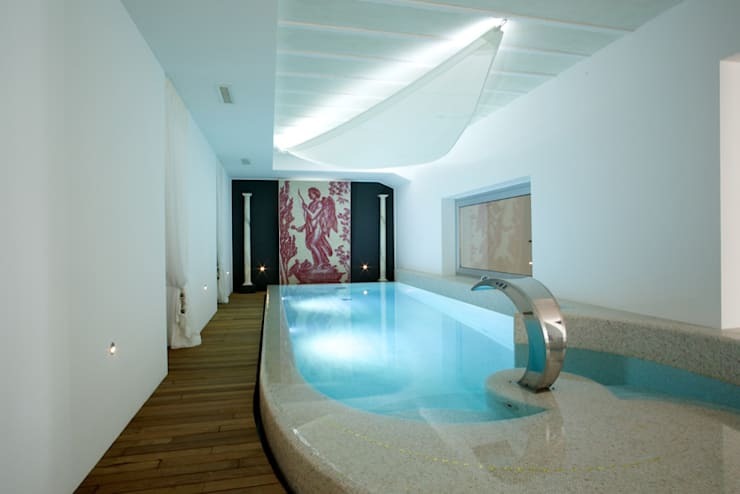 For more advice on private pools construction, call our experts at www.Homify.com and schedule a consultation. Hope you have many queries sorted, and are more prepared to start the work on your own private pool.